When Woldeab died his funeral attracted tens of thousands of mourners – the biggest gathering of mourners in the country’s history. 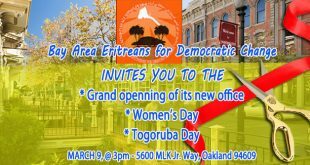 The ceremony was a demonstration of gratitude for committing his entire life to fighting injustice and campaigning for the independence of Eritrea. Surprisingly, after his death, due to lack of recorded account of his accomplishments, his memory has fast faded. This project is an attempt to capture faded memories of Woldeab. He is part of my history – the source of my identity and fledgling patriotism. I came across Woldeab’s name as a young boy in the early 1960s. I remember it was forbidden to mention his name in our household due to the menacing atmosphere that surrounded his reputation. The atmosphere around my first school where he taught students of my father’s generation was also the same. His name was totally effaced from the school environment where he presided over as school principal. The teachers knew him well but no one dared to mention he ever existed. Members of the Church community, located around the school, had totally disowned him. However, the older youngsters who knew more about him than us revered him. The younger generation, in total disapproval of their parents’ pro-unionist sentiments and position, formed underground circles that venerated Woldeab’s ideals. That enticed my interest in his persona. And that youth rebellion is what prompted the armed struggle for independence in 1961. 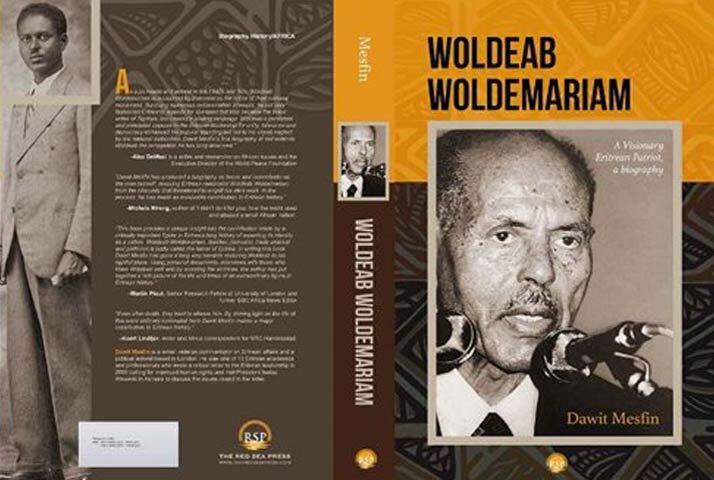 A comprehensive history of Woldeab has not been published yet. However, there exists a PhD thesis written by Dr Denise Saulesberry, an American academic whose focus of her research is Woldeab. There are other books on Eritrea who mention Woldeab’s life and his struggle. But they lack perceptive aspects of who he really was. The chapters in this book are a collection of the dramatic experiences that helped shape his destiny and that of his country. It is the story of an epic life which experienced hope, hardship, resilience and ultimate triumph. Moreover, Woldeab is not in the history books of Eritrea except in Alemseghed Tesfai’s book which is written in Tigrinya. School books in the country barely mention his name and the struggle he and his compatriots conducted during 1941-1961. Considering that those early years of struggle changed the course of Eritrean history, the young generation grew up learning very little of who he was, what happened during the years when he was most active. This book will help them construct their own understanding of how Eritrean nationalism came about – a phenomenon mostly influenced the lives of their fathers and grandfathers. 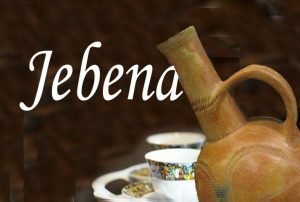 The account focuses on the story of Woldemariam and Waga, Woldeab’s parents, which is an inspiring one. The illiterate individuals who left their homes in Tigray (Ethiopia) and travelled to Eritrea before it became Eritrea, contributed to the country’s wellbeing with their hard work and by giving it their high achieving children. The family’s contribution to Eritrea – to every aspect of its national life – was extraordinary and has to make it one of the most significant in the history of the country. Without the contribution of Woldeab, their visionary son, Eritrea would have assumed different political, social and economic contours. He greatly assisted in putting Eritrea on the world stage. The account in this chapter captures the essence of human transformation – how Woldeab’s life was transformed as he became a teacher. Woldeab used proudly to say, even in his old age, ‘I am a teacher’. As a teacher, although respected and admired, he was known for his conservative values – sometimes feared as a disciplinarian by his students. His formal education at the Swedish mission school in Asmara had been in Italian, giving him a window into a foreign life. Signe Berg, a Swedish missionary who had mentored Woldeab in his early days as a teacher in Kunama-land, always admired his earnestness and competence in the classroom. ‘Woldeab is such a confident and poised teacher’, she used to say. Woldeab taught literacy, the Bible, languages, music; and such was his hunger for learning that if he was not teaching others he would teach himself. Woldeab was so driven he used to spend days studying one of the classics of Western literature, Dante Alighieri’s Divine Comedy and the richly romantic poetry of Giovanni Pascoli. In terms of what he taught, and how he made it accessible to the students, he was endowed with an aptitude which was ahead of his time. The theme of ‘The Journalist’ depicts the calamities freedom of press creates in a virgin territory. When the victorious British army marched into Asmara in 1941, the state of affairs went from bad to worse in the country. Although the Italians wanted to remain a considerable player in the future of the country because they felt they had ‘Italianised’ Eritrea, the prospect for Eritreans to remain ‘Italian’ was very slim. The British, meanwhile, did try to usher in change, but it only had the effect of creating instability in the country. They could not maintain order and revive the economy. The changes, such as freedom of the press, were not introduced methodically – without preparing and empowering the people. During that time the British hired Woldeab to run the Tigrinya version of the Eritrean Weekly News (EWN). Sadly, EWN opened a Pandora’s Box of domestic problems. Woldeab was immersed in the thick of a chaotic transition period. The newspaper project was meant to aid the British to introduce their values and entice the local population into falling in line with their vision of how Eritrea should be shaped. On the contrary, the debates put rivals on the warpath in defence of their respective ideals. Life in exile was a time of great mental anguish for Woldeab; he could not bring himself to acknowledge the dawning of the new reality – the fact that he was not the major player he once had been in his country’s destiny. After living in Khartoum for six months, Woldeab moved to Cairo to run his radio station. This chapter summarises his on and off struggle that lasted over two decades. 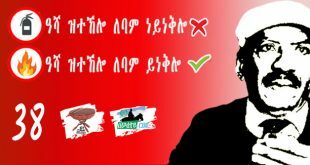 Unfortunately, the belief of the Eritrean community in Cairo, all Muslims, was not in step with his religious humanism. They discriminated against him for he was a Christian; most of Eritrean Christians supported unity with Ethiopia. Anyway, his radio messages were effective. Back home people sat around the radio and listened to Woldeab’s messages on unity and how Eritrea should remain in the hands of Eritreans. 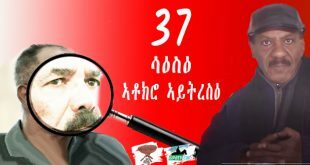 In exile Woldeab witnessed the Birth of Eritrean Liberation Movement (ELM), Eritrean Liberation Front (ELF) and Eritrean People’s Liberation Front (EPLF) – all factions experienced discords and war of attrition amongst them which broke his heart. However, although his role was diminished to observer-level in 70s and 80s, Woldeab remained hopeful that the fighters would come to their senses to liberate the country. Fratricidal Strife among Freedom Fighters became worse. During those tumultuous times he lived in seclusion in Cairo. I am writer and commentator on Eritrean affairs. I am also an activist – I have participated in many projects and campaigns for democratic and human rights for Eritreans. 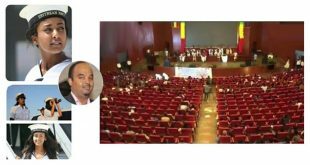 I was one of the 13 Eritrean academics and professionals who wrote a critical letter to the Eritrean leadership in 2000 and travelled to Asmara to meet President Isaias Afwerki to discuss the issues raised in the letter. I used to regularly contribute to Eritrean websites and worked as a senior editor of Asmarino.com. 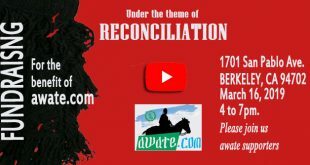 I am a founding father of Awate.com, a prominent Eritrean Website/Foundation. I then set up and ran Voice of Liberty, a SW radio station transmitting from Europe to Eritrea. I chaired EHDR-UK (a London-based human rights group) and NECS-Europe (an umbrella organisation of 13 civil society organisations based in Europe). I have travelled to Sweden, Holland, Switzerland, Germany and the US to give presentations on various subjects regarding Eritrea. I worked for London Metropolitan University, International IDEA, and I was the principal director of Justice Africa, an international NGO, from 2011-2014. Somewhere in the recesses of my mind I keep the memory of two alarm bells that were rung by two individuals who loved Eritrea and it people. Soon after independence, Dr. Fred Hallows was working with the transitional government to build a suitable building for the intraocular lens manufacturing machines. There was a TV interview, never shown again, in which Dr. Hallows says “They have to understand that the days of guerrilla fight are over, they need to listen …” The second alarm bell was when Aboy Weld’ab stated “simeru, simeru to the people and said “You must listen to the heartbeat of your people, you seem to forget that” …”. They were the voice of two men who had contributed so much for Eritrean people and who were anguished by the clear signs of where things were headed. You do great to tell the story of a great man. Hopefully, those who know more but are rightly intimidated from sharing their knowledge, will find the courage once they see your book published and the reaction of the readers. Hi All, To day is a very special day to the real Eritreans who believe in everything Eritrean, the history, the Gedli and the actors of it, Eritrea’s Martyrs. 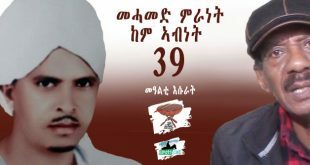 Happy Eritrea’s Martyrs day and Awat-N-Hafash. And Djibouti complained to the UN and the UN is convening an emergency meeting. Meanwhile IGAD is condemning Eritrea. There is no way to believe that IA and PFDJ didn’t know the chain of events. They just love crisis. Selam Brhan, I don’t know why they don’t settle the border issue with Djibouti just the way they did with Yemen and Ethiopia? Why not just take the simple issue to the UN arbitration? From what I see the border dispute is about the tiny island of Dumeira, and a small part of the Djibouti-Eritrea border. The tripoint at mount Mussa Ali was delimited by the EEBC decision; I guess, because that Commission was tasked to delimitate the entire Eritrea-Ethiopia border. Actually I wonder what Qatar was doing the entire 7 years, after they started to mediate between the two countries. This second, and more informative, introduction of the book will prepare the readers. As I noted in my comments in regard to your first part in this forum, the book a welcome gift to the young as well as to the old. The young would be enlightened to the roots of their people’s national patriotism, and the still living older generation shall get a source that will help the reflect on their time, and participation in the long pursuit a nationhood that was not so cheap to attain. Moreover, the next generation of Eritrean, who followed in the followed in the footsteps of Wel Wel and his comrades-in-cause, would get opportunities to find answers for many questions that constraints of time and circumstances had not given them to research. As always, I admire your gentility. There was a time when I thought you were one of the two Ismails I grew up with around the Mai-bela neighbourhood. 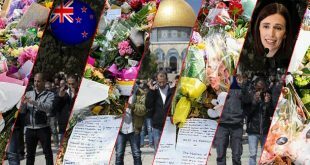 You see, I knew Ismail Abdella (brother of Salahadin Abdela) and the other Ismail (brother of the Beirut-educated teacher who taught at Qehaz – memhr Mohamed) very well . The former, a fierce rival in football, and the other Ismail – the great defender are always on my mind. It was Saleh Gadi who explained who is who. Ismail, allow me to say a few words about Woldeab. Woldeab must have been an eternal optimist. No matter how rough things got, he could see light somewhere beyond his predicaments. The rest of the sky could have been cloudy, but that little bit of blue, that little opening, drew him nearer to his life long dreams of seeing Eritrea free. What kept him alive all those years after most of his opponents, enemies and persecutors passed away, could be that ray of hope that kept on shining through the crack of Eritrea’s rickety door. Let’s say he certainly had a longer shelf life than most. Our young need to know the real history of Eritrea – not only the post-armed struggle history. Thanks for the compliment. The same and more apply to you. I had witnessed your gentility and grace when we met at Kassel Festival some years back. At that time, you represented a rare example among us Eritreans who tend to be inflicted by misplaced pride of not reflecting on what we did, pronouncing mistakes and apologizing. Sorry for the confusion Saho love for the name “Ismail”. Incidentally, I know and met the Ismails you mentioned save Ismail, the defender, whom I knew through his superb articles and famous debate with you that drew me towards getting in love with Awate.com. The highlights of each chapter of your book makes the potential readers of the book so enthusiastic to own it. You started with one of our giants of the Eritrean politics, and hopefully to see similar books on the contribution of Ibrahim Sultan and Abdul-Qadir Kebire. I look forward to see your book on my shelves. Thank you with anticipation. Thank you for the kind words. There are many people around us who know a great deal about the other patriots – Kebire, Ibrahim Sultan and more. I believe now is the time to do something about their stories. We should not allow others, particularly those in power, dictate our own history. Did he write to solve Eritrea’s problems? Unlikely, but he certainly wrote to allow them to emerge. And indeed many great thinkers and philosophers also said similar things. And what you revealed about Wel-Wel’s work is nothign but in correspondence to what these great thinkers said. The more we dig, the more we will get great wisdom about Wel-Wel. I think, Dawit Mesfin, second book, at least, is expected from you about Wel-Wel’s political thinking. I believe you have the wisdom to provide us with such kind of work. 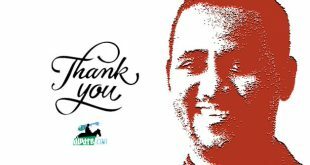 Dear Dawit, lots of respect. I too can’t wait to read the book. WelWel was a teacher and his students became great in their own right. One such student was the late Memhir Musa Aron. In one of the conversation I had with him while he use to live in Toronto, WelWel was his teacher and he is one of the first students. Memhim Musa become a famous novelist, translated and researched and published many books, Including writing dictionary for Tigre and if I am not mistaken he also translated the bible to Tigre. You are right, Memhr Musa Aron was WW’s student. Unfortunately, I never had the opportunity to speak to him while I was researching. Memhr was in Asmara working on the Tigrinya/Tigre dictionary. However, I had the chance to speak to many former students of WW. I could not use the majority of the interviews because my editor cut most of it – in order to shorten the book. The most unfortunate aspect of the research was the fact that many refrained from sharing what they knew – you see, people are afraid of the government (paranoia of extreme kind). If we are to make progress in this respect then we need to pluck up our courage and tell what we know. Thanks for the heads-up article. I have a feeling this book is going to be a “must have” one. I look forward to reading it. I have a vivid memory of Welwel when, in 1987, he entered the conference room of the Second and Unity Congress of the EPLF. He was short and skinny, surrounded by his entourage. His speech was short but stirring. One evening during the conference week, he joined us in a dinner “table”, the traditional me’adi. I think he just walked by and we were on his way. We missed part of the next session. He also visited Nakfa front line and had memorable meetings with tegadelti there. THat’s the memory I have about this great man. There is no question that the young revolutionary leaders of the fronts sidelined figures such as WelWel and SheiK Ibrahim sultan. They started reappearing in our discourse in the late eighties. Thanks for the effort and I wish you the best. Immediately after the Second Congress of the EPLF, Welwel graced with his presence the biannual Festival of Eritrea at Howard University, Washington DC in 1988. 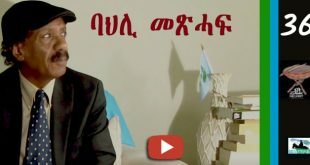 The USA Eritrean Students Union Chair, Fikreyesus wispeared into my ear to make the announcement to prior to TiEgisti singing the song: ኣርሓ ዘይዳነ ንያት ናይ ሃገሩ or maybe በሊሕ ጉራደ? I found it overwhelming to write the book because it did not take long for me to come to the realisation there was so much I did not know about our own history when I first started out to document the pre-gedli era. 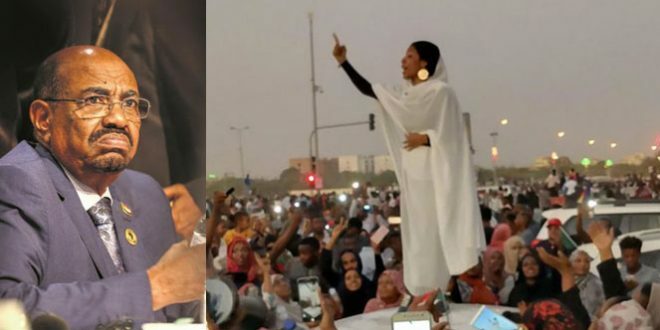 If it was that difficult for me to comprehend the initial stages of the Eritrean struggle, then you can imagine how tough things would be the younger generation . I came across many, during my journey, who did not have a clue who WW or Ibrahim Sultan were. That is quite alarming. We are mere products of our history, aren’t we? And to understand that relationship we have to write our own history first. The history of Eritrea is but the biography of our great men. So this is just a small attempt. You have undertaken a huge project and I wish you success in your efforts. I am sure you have consulted a wide range of individuals and read extensive materials in the research for your book. My inquiry to you is did you by any chance read or consulted an Amharic book written by Zewde Reta, “YEritrea Guday”? Yes, I read Zewde Retta’s book – a few times. And I also read Shumet Shishagne’s book on the Unionists. You are an honorable man. I appreciate your response to my question. I look forward to reading your book, assuming it is in English. I recently acquired Dr. Bereket’s book, Wounded Nation. I hope folks who have a direct access to the events and facts on the ground document their experiences. Time is of the essence. 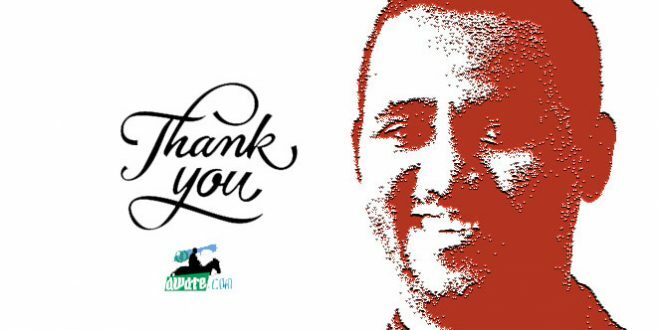 May I also express my admiration and thanks to you for being the founding father of Awate.com. We the students, now call it Awate University, in case you are not aware of it. 1. Could you tell us who those great men were? 2. Do the Unionists fall within the statement I quoted you above? Please explain. 3. Would you ban the same Unionists in a free and democratic Eritrea in the 21st century? Please explain. Thank you in advance for addressing my curious questions. Ans: I guess greatness is a funny concept, don’t you agree? Someone who I consider a great man might be a villain to you. I noticed the picture of Dimetros Ghebremariam pasted to your account. I presume you consider him a great man, don’t you? There are many great people in our history. Ibrahim Sultan is one. He led Harakat Tahrir al Aqnan. He struggled to safeguard our identity and obtain our independence. Ans: According to the definition of ‘greatness’, great people are individuals who possess a natural ability to be better than all others. Did Dimetros do better than many others? Yes. Whether I like it or not, Dimetros is part of the Eritrean history. However, to me, he was a controversial figure in Eritrean history. He was the arm-twisting spiritual leader of the Unionist party who engineered the 1962 annexation. Ans: Ban? No. Democracy is a ‘system of government in which power is vested in the people, who rule either directly or through freely elected representatives’. So the democratic framework/process provides an answer to your question. Your are perfectly correct in stating that genuine writing of history does not discriminate. It records events as they happened on merits of sources materials. The history of the actors in the unionist movement of Eritrea do surely have a chapter in modern history because they were responsible for the losses in life and property their ill-considered options had incured. Some memories are indeed unforgettable. I guess history is, partly, all about reliving those unforgettable memories. So many people who lived and witnessed the initial rumblings of ‘Eritrea for Eritreans’ (and ‘Eritrea for Ethiopia’) passed away without leaving documented stories behind.